December and the first part of January have been gloomy to say the least. I embrace every beam of sunshine I can find, and those are scarce these days. No wonder that I didn’t doubt for a minute when I looked at a bright forecast for a particular Sunday in January. 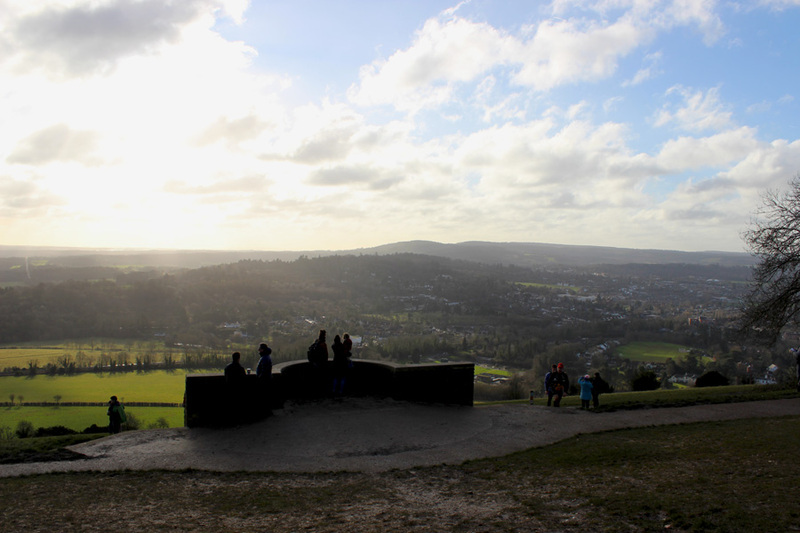 I reached out to some friends and together we planned a trip to gorgeous Box Hill, merely 40 minutes from Central London. 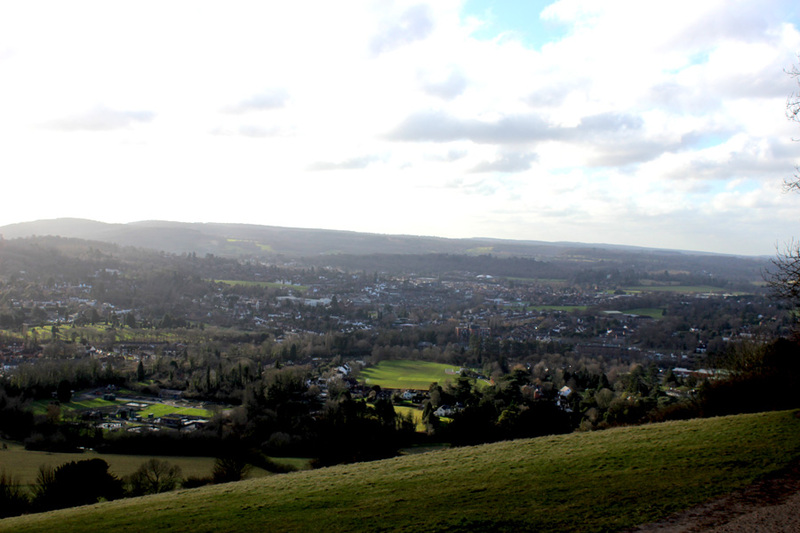 A city escape is what you can call Box Hill. 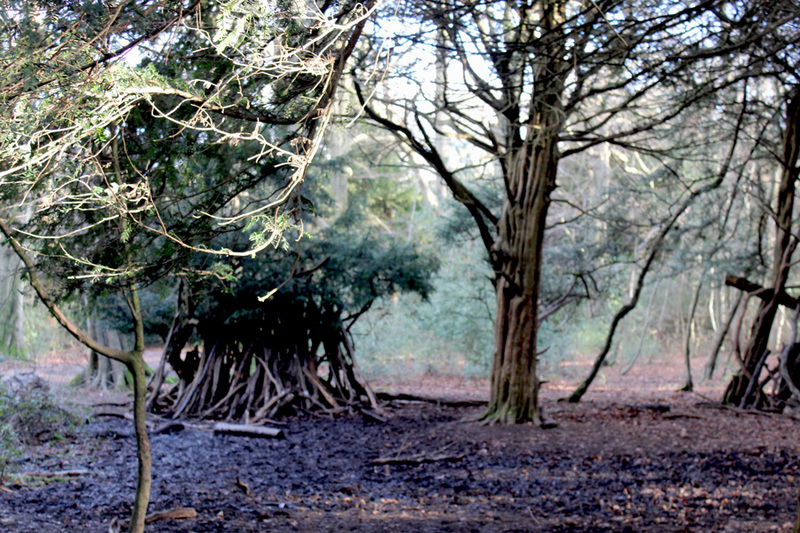 The natural area in Surrey is popular amongst locals and city-escapers like us. This Sunday it was no different. 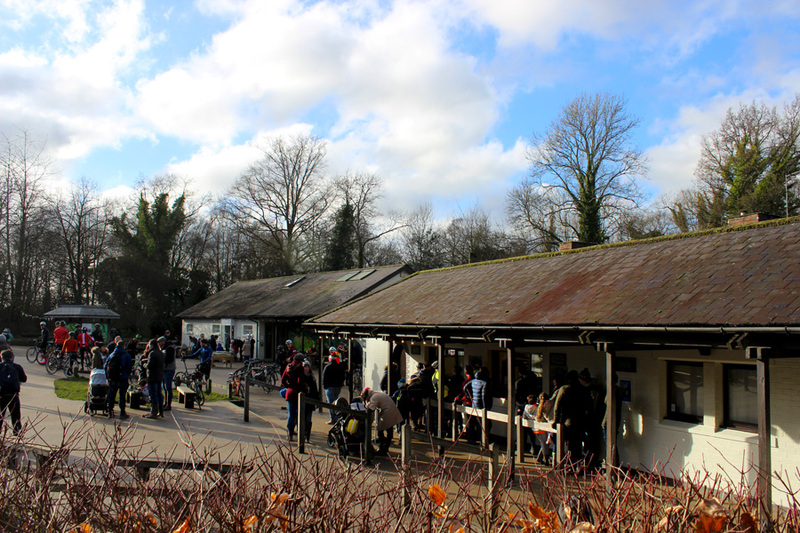 Flocks of Londoners disembarked the train at Box Hill Railway Station from London Waterloo and London Victoria and all headed for the steep hill. My friend brought his beautiful dog with him, and together with another friend we followed the crowd up the hill. Despite my worries about the amount of people we would see during our short hike (would it look like a typical London-traffic-jam? ), I was proven the complete opposite. 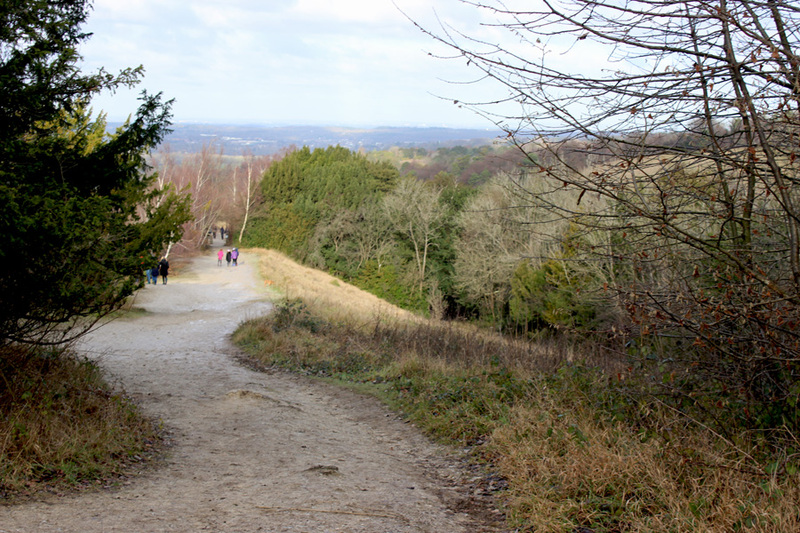 The steep walk up the hill towards the visitors’ centre was busy for sure. However, as soon as we had passed Solomons Memorial Viewpoint, it became much quieter on our route. 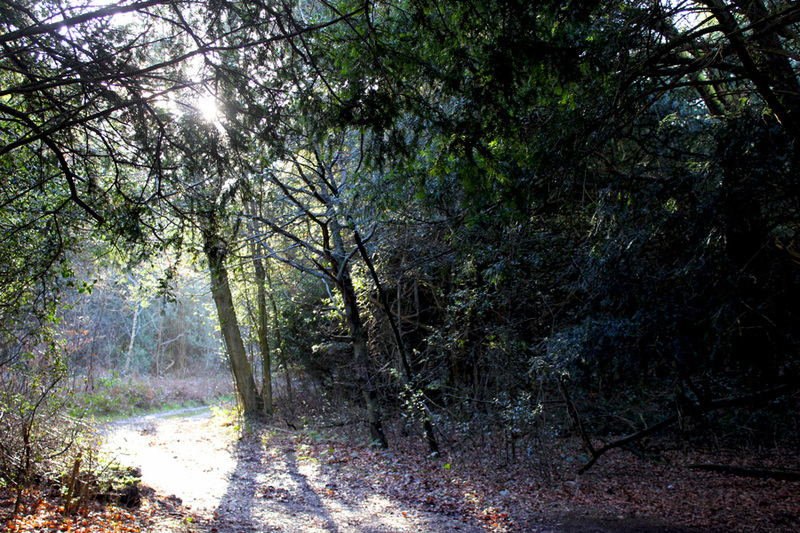 Before our trip I went onto the website of The National Trust and downloaded a few potential routes on to my phone. This turned out to have been an unnecessary move, as printed leaflets with all possible routes were also available at the visitors’ centre. Now, that’s what I call good customer service! 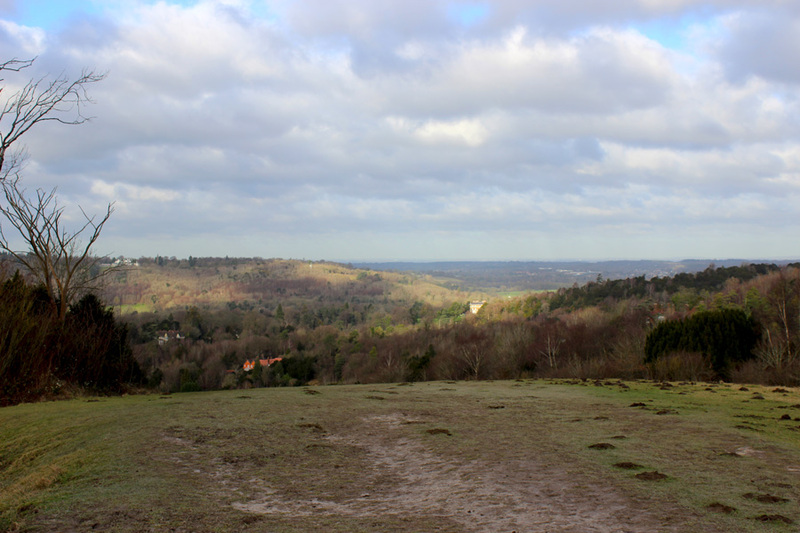 Box Hill lies within the Surrey Hills Area of Outstanding Beauty and is 224m high at its highest point, Betchworth Clumps. 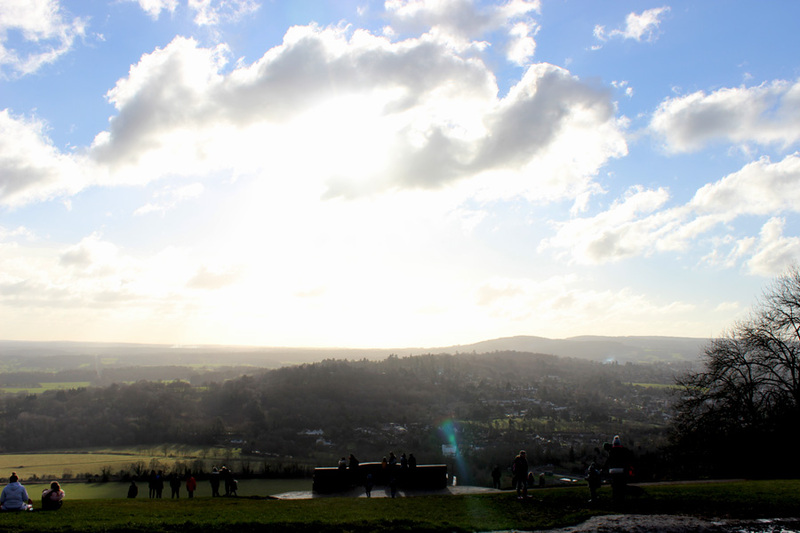 The best views however are available from Solomons Memorial at 172m, which overlooks the town of Dorking. 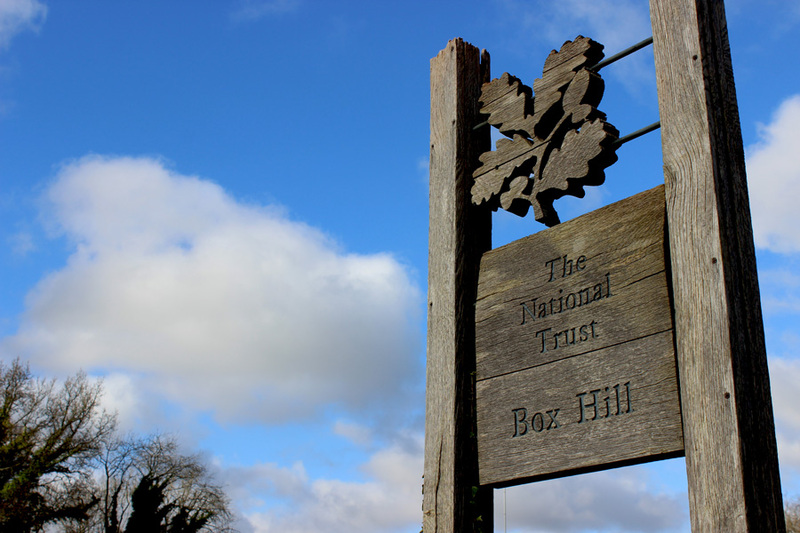 Fun fact: the visitor amount to Box Hill has increased since the 2012 Olympics, as one of the long-distance footpaths in Box Hill featured on the 2012 Summer Olympics cycling road race events. Men did as many as nine circuits, while women did two. To be very honest with you, I wouldn’t even be able to manage one circuit. 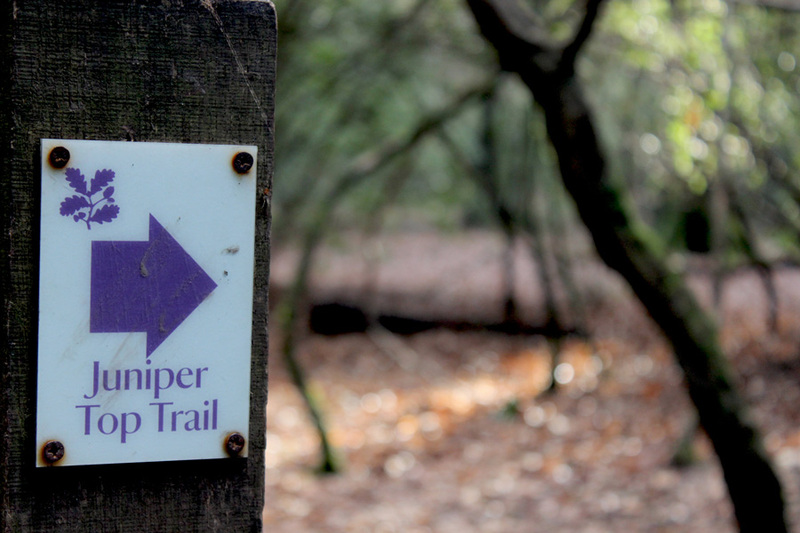 Instead, we attempted to do the Box Hill Juniper Top Circular Walk of four miles. 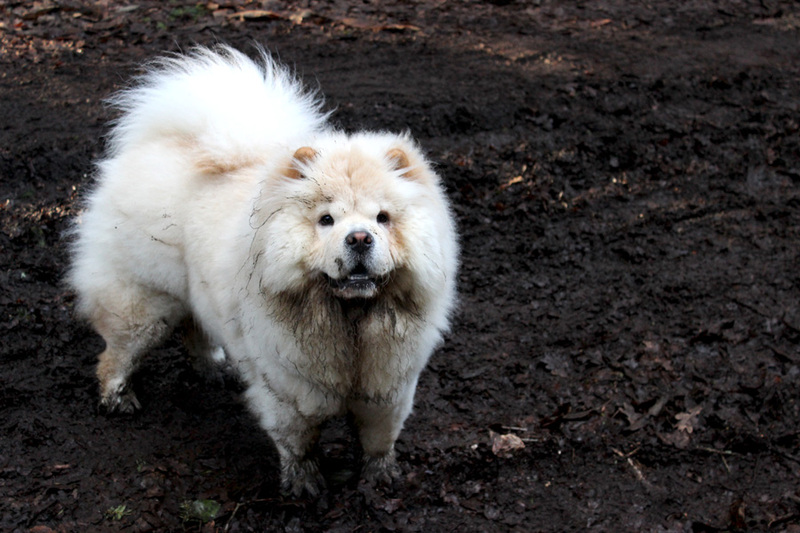 Since it had rained quite a bit of the past few weeks, most of the paths were quite muddy, and we had to struggle quite a bit to get through them. Needless to say that my friend’s beautiful white dog turned almost completely brown in the end. 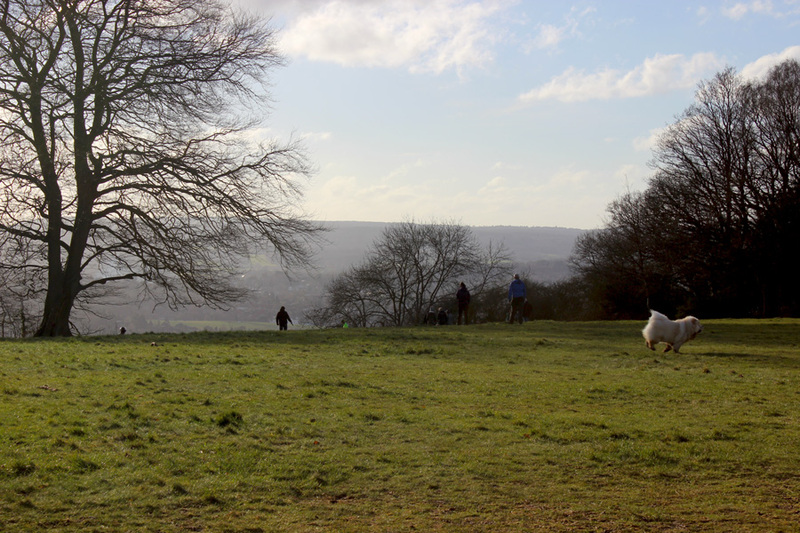 Despite the mud, we had a lovely and relaxing walk over the top of Box Hill and over forest roads. We passed part of the family-friendly route and saw children working hard on building forest-tipi’s and answering questions on their interactive route sheets. A country and western restaurant?! By the end of our route (which we admittedly didn’t manage to do fully) we decided to head for lunch. Expecting a cosy countryside pub including a fire place and fluffy rugs, we were surprised by the fact that we ended up at a country and western themed restaurant instead. We were welcomed by some friendly ‘cow-boys’ and ‘-girls’ (‘’howdy!’’) and had some proper American food. That was an interesting turn of events. After lunch it was time for us to head back down the hill, back to the railway station, and back to the reality of a bustling London town. It turned out to have been a lovely Sunday in the sunshine, with great company, outstanding views and a lot of fun! 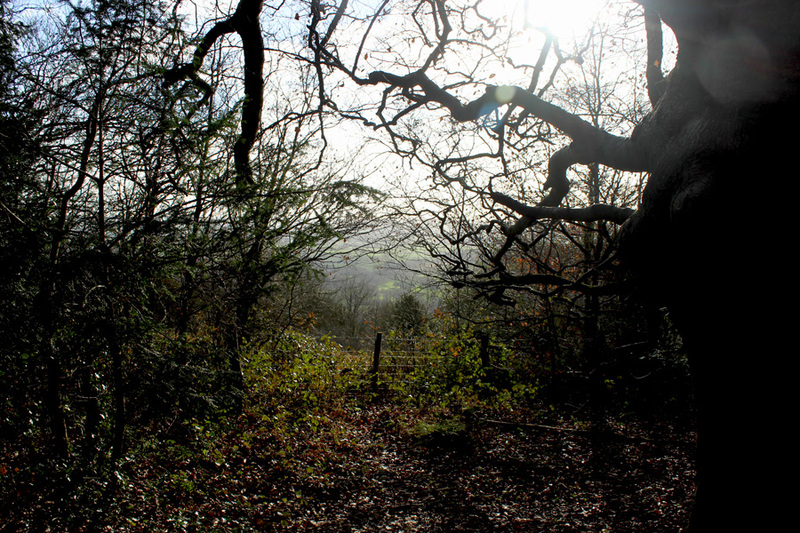 Want to see more walks in, or near to London? Head to the walk-the-walk category for more!